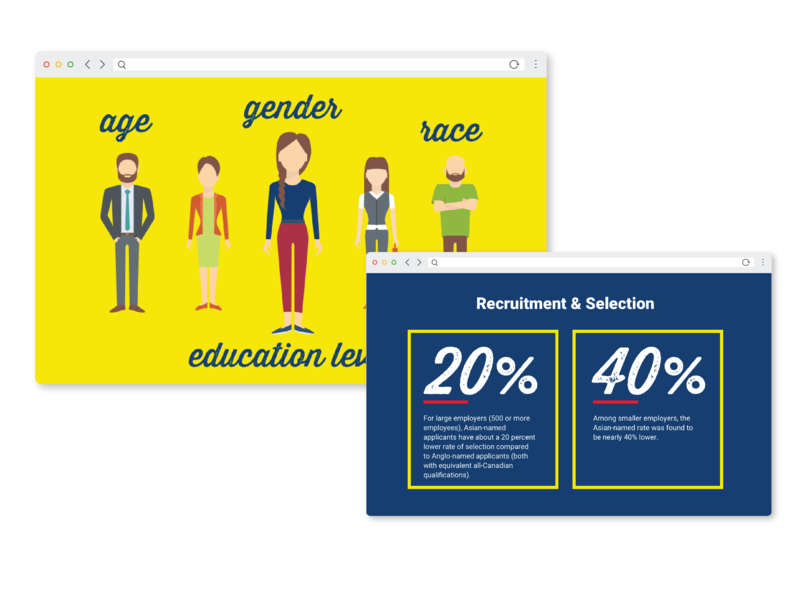 To create an online training program that would further foster diversity and inclusion amongst OLG employees. 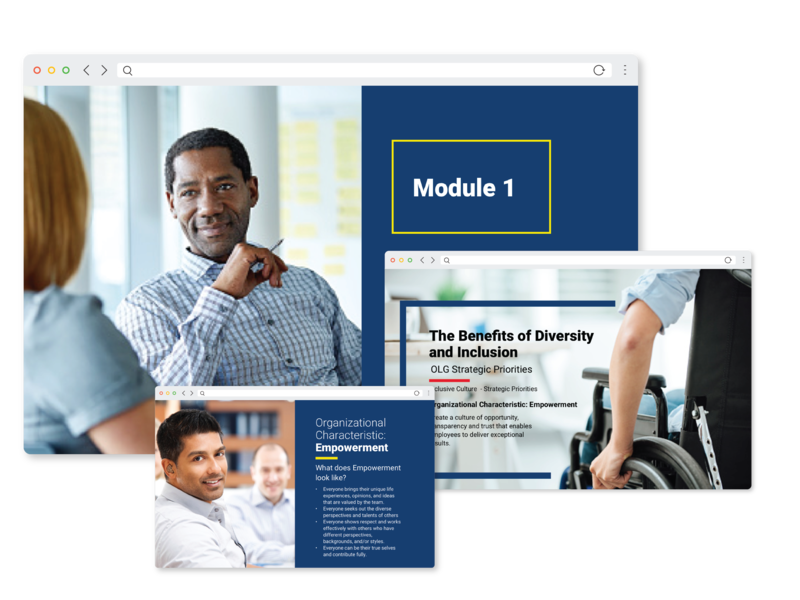 Our approach to this course was to emphasize the ideals of building a sense of trust, openness and empowerment among OLG employees, and highlights the dimensions of diversity, including race, gender, education, age, sexual orientation and disability. My goal was to add texture to the learning experience and accentuate the everyday nature of the subject matter. By building connections and associations the learner can appreciate building empathy towards racial discrimination, whether it is something that happens to their friends, co-workers or strangers on the street. Learners will be taken on a journey that provides relatable context, reflective opportunities and meaningful behavioural change. Visually the design had to adhere to OLGs brand standards. 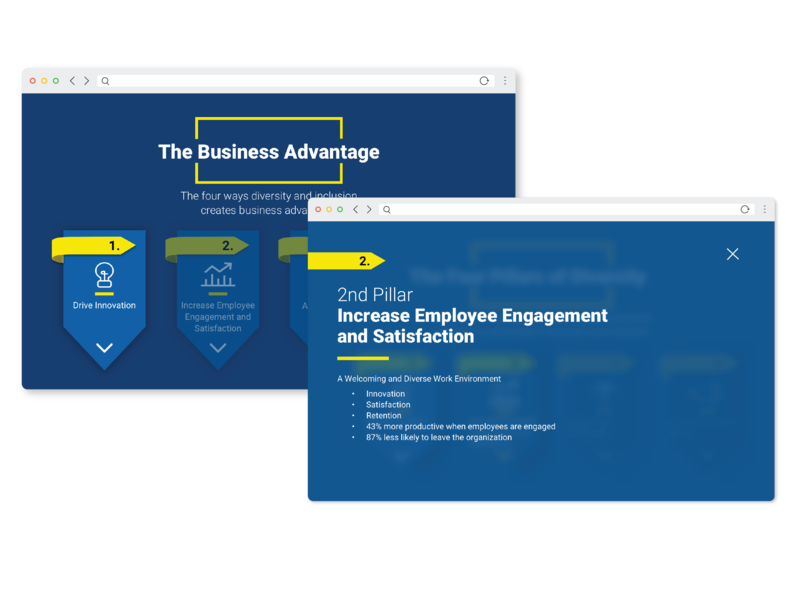 Visual elements have been used to support the hierarchy of information, enhance the storytelling aspect of the scenario based learning, and position the content as approachable for OLG’s employees. In the initial stages of this project I had to delve into the content and the intended outcome to bring these ideals to life. My process was to set up a design mood board that outlines the creative direction and share it with my design team. I use InVision boards for this which allows for heavy collaboration with the client and subject matter experts to ensure we hit the right tone with the visuals. I also used collaboration tools such as Freehand and draw.io to work through userflows with the team.